"There are so many things I never imagined I will do. 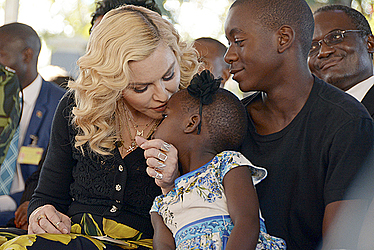 I never imagined one day I will build this kind of a hospital," said Madonna, who explained that she grew up without a mother and wanted to give the best to Malawian children. "Never give up on your dreams," she added. The four children she adopted from Malawi are David Banda, Mercy James, Stelle and Estere. The children's wing was named after 11-year-old Mercy.